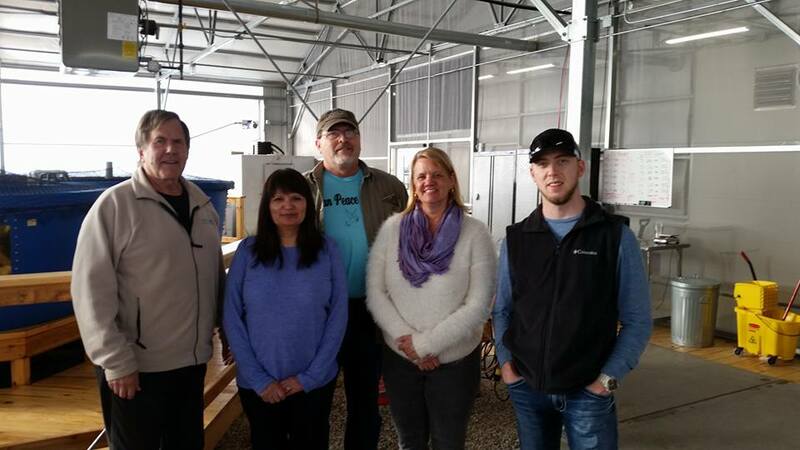 Nelson and Pade, Inc.®’s ESLP allows individuals to learn and work in a real-aquaponic greenhouse setting, doing everything involved from daily operation to troubleshooting. The Nelson and Pade, Inc.® Grower Training and Support Team provide input and guidance in the program. Each attendee starts out job-shadowing and, as skills are developed and knowledge gained, the attendees have the opportunity to demonstrate what they’ve learned through hands-on application. This is a leaning-by-doing program. Attendees should be in good physical condition, eager to learn and apply what they learn through doing each task. Daily tasks typically include selecting, seedling, transplanting and harvesting vegetable crops, determining and weighing feed rations, feeding fish, maintaining filters, cleaning system components, understanding system design and water flow dynamics, troubleshooting problems, monitoring and adjusting environmental conditions and keeping greenhouse charts. Our ESLP is available to anyone purchasing a Clear Flow Aquaponic System®. Your one-on-one training session can be booked at your convenience. During the ESLP you will be experiencing, hands-on, everything that it is involved in running a Clear Flow Aquaponic Systems® in a controlled environment greenhouse. There is no set classroom time in this program. Instruction takes place in the greenhouse and happens as each task is required. All attendees are expected to contribute to the daily greenhouse tasks in an effort to reinforce what they are learning. An extensive library is available for additional study. There is no hand-holding and it will be steady work. This program is all about learning by doing and, at the end of a session, the participants will have had the chance to learn a great deal through the daily operation. 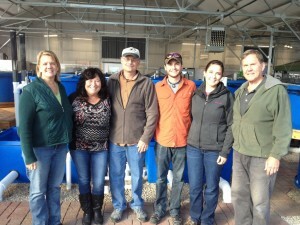 Programs take place at Nelson and Pade, Inc.®’s state-of-the-art greenhouse facilities in Montello, WI. Sessions are booked based on availability and attendees schedules. Sessions vary in length from 2-5 days. Length of session varies depending on what size system the students will operate. The tuition covers guidance, instruction, custom curricula and the opportunity to explore all areas of aquaponic food production in a real-world, working aquaponic greenhouse. A local motel and a campground are both within walking distance of the greenhouse. There are other lodging options as well.